Lt. Lydia Richard's Criminal Justice seniors already ACCEPTED to attend colleges and universities across the nation! JSE/CIS students enjoy Main Street Theater's School House Rock Live! This school year, the seniors of Lt. Lydia Richard’s Criminal Justice classes and her RTI-College Readiness class were challenged to meet the requirements and apply to a college or university of their choice. So far, 22 of the 27 seniors have been accepted, and 5 hopefuls are awaiting response. On April 12th, students were given purple shirts with the word “ACCEPTED” to mark the beginning of a rewarding journey from Coldspring-Oakhurst High School to their respective colleges and universities across the nation. 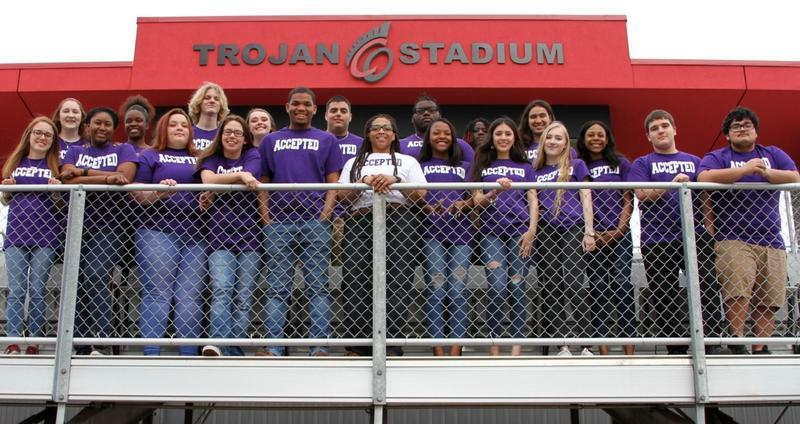 The Trojans took 2nd place at the UIL 23-3A Area Meet at Onalaska High School on Monday, April 15th. 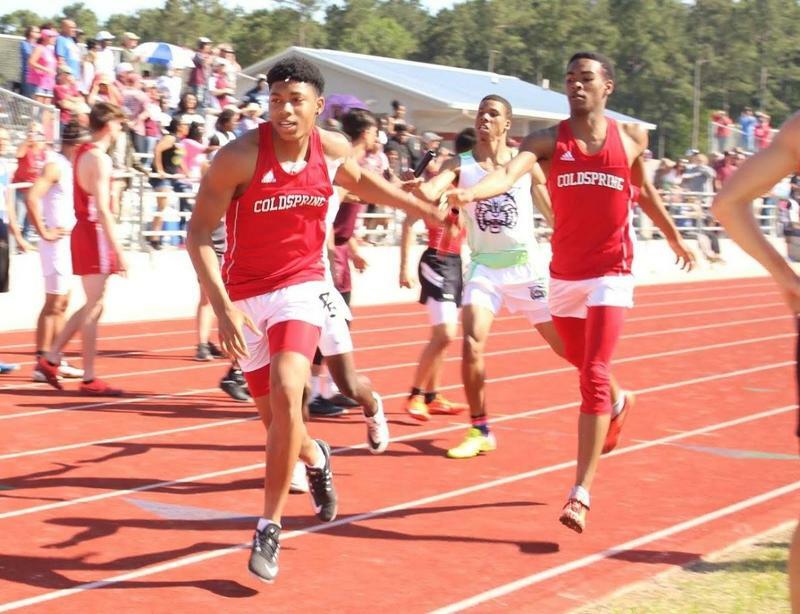 Darvin Lynn placed 1st in the High Jump, and Curtis Parker, Jr. placed 1st in the 100 and 400 meter Dash. Parker now has the fastest time in the 400m and the #2 time on the 100m in the Texas 3A Division. For a full list of the COHS top four results, click "Show More" below.